True Utility MicroWhistle Survival Whistle | BUDK.com - Knives & Swords At The Lowest Prices! It may be small and unassuming, but the MicroWhistle from True Utility is a vital emergency survival tool that could one day save your life! Being stranded for days without food and water in a vast wilderness or on the ocean in a life raft leaves even the toughest, fittest individuals extraordinarily weak - so much so that often mere speech is at best impaired and sometimes even impossible. If you were to spot distant help in such a situation, how would you cry out loudly for aid, when even your normal speaking voice has failed you? With the MicroWhistle, you wouldn't have to speak at all - much less yell - to draw the attention of far-off assistance. Just a gentle blow through this potent little pipe is all it takes to yield an ear piercingly loud whistle that can be heard for miles! 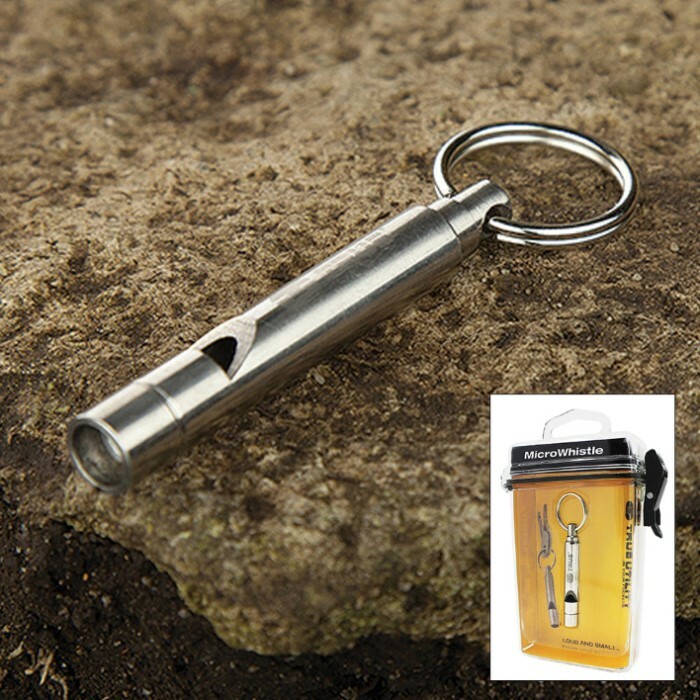 The MicroWhistle's slim profile (just 2" long and barely 1/4" in diameter length) and included key ring makes it convenient to carry at all times - on a set of keys, on your person, attached to a backpack or other gear, or even hung around your neck. Along with its painfully shrill whistle, such ease of carry makes it perfect for rebuffing attackers and other personal protection applications, as well. 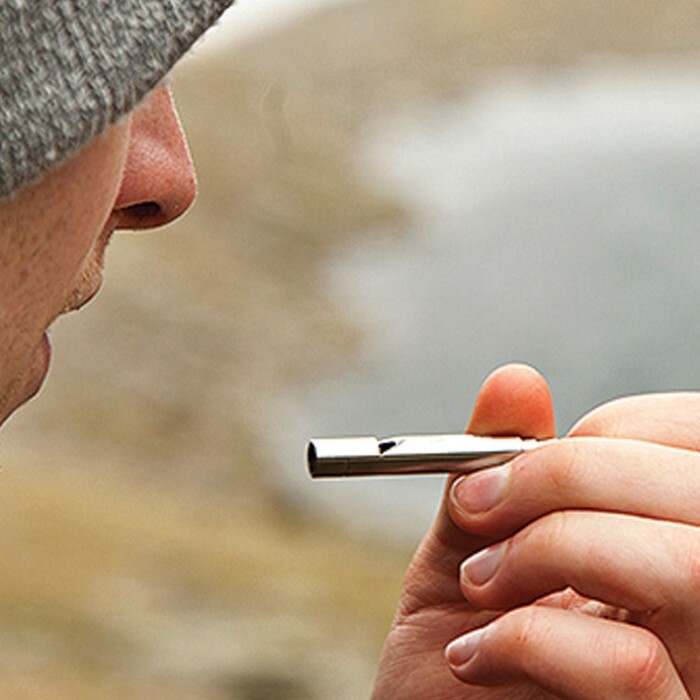 Cast from premium food-grade stainless steel, the sleek, stylish MicroWhistle is built to last for life. Get one today, and never leave home without it again!